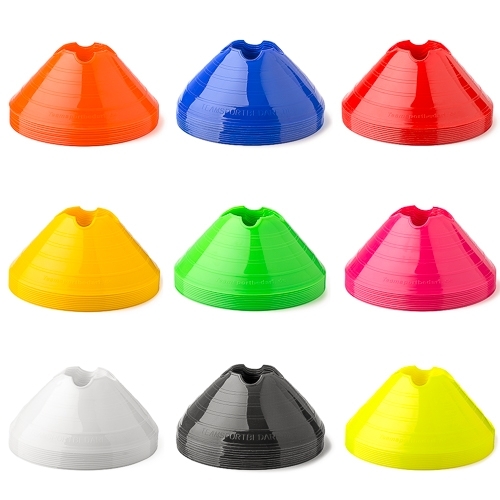 You will receive a set of 10 marking cones in fashionable colors. 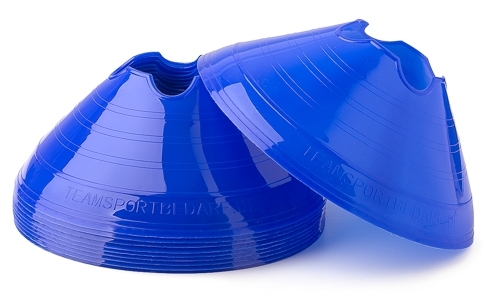 The cones of flexible plastic are very resilient and flexible and have a diameter of 20 cm. You can use them for marking fields or parcours, whether on turf, artificial grass, hard courts or indoor. 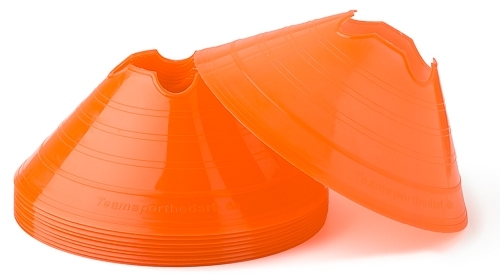 The cones come with notches and can thus be combined with the appropriate hurdle rods quickly, becoming a mini-hurdles system. Our marking cones are ideal for the training of dribbling and movements or for cognitive training. Teams can now order marking cones in their team colors! 8 different colors (orange, blue, red, yellow, neon green, pink, white or black) are available. 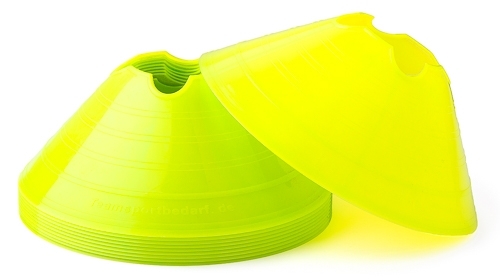 Just select the desired color above and add to cart. Within the set of 10, the colors cannot be mixed. With our training aids already train teams from the professional sport. The matching carrying holder can also be bought in our shop. 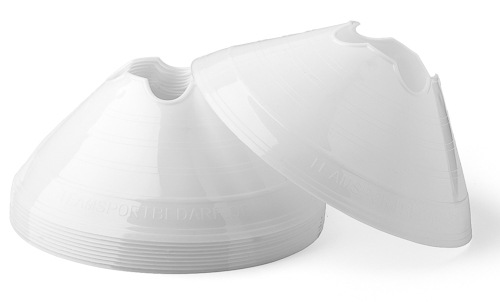 Versatile, for instance on turf, artificial grass, hard courts or indoor.